When you select Eminent Construction, you are choosing values as well as services and a well-established family enterprise. With over 15 years of experience and real focus on customer satisfaction, you can rely on us for your next project. Let Us Turn Your Outdoor Space Into a Work of Art. Our track record of excellence comes from years of experience, and the diverse range of skills found in our selection of highly skilled workers means, we aim to satisfy our client’s needs. Create a spectacular outdoor space with unlimited hardscapes from simple walks to extravagant drives, patios and much more. Specializing in the design and installation of high quality paving stones. We offer different varieties of paving stone styles, colors and sizes so you can mix and match to get the perfect look for your home! We can provide services for concrete removal, installs, new, or replacements from simple small projects to large scale intricate designs. There is no limitation when creating deluxe outdoor hardscapes. We specialize in concrete works such as driveways, pool decks, private entries, counter tops, etc. We ensure that your project turns out exactly as you imagined by having it professionally installed. Asymmetrical, split flagstones fit together like a giant puzzle to create spectacular pathways, patios, pool decks, interior flooring, fireplaces, and other decorative features. From Interior accents to full home exterior, Stone Veneer can be installed on any structurally sound surface adding value and appeal to any property. We have the experience installing the specific kind of block wall you're seeking for, for a complete and professional look no matter how large or small. At Eminent Construction, our hardscape experts are well-known as the highest quality brick, stone, and hardscape company in the Los Angeles area. 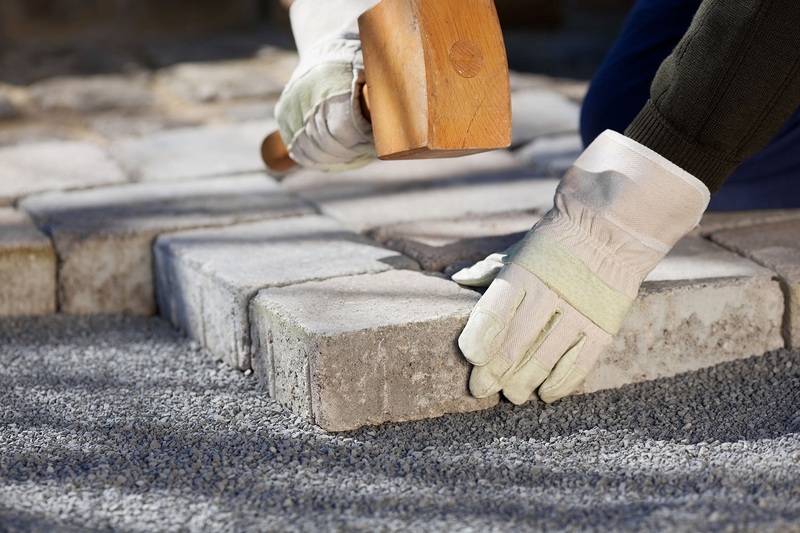 Our fully licensed, bonded, and insured contractors repair, restore, and completely rebuild hardscapes that are functional, durable, luxurious, and long lasting. We assure the best in the industry and truly stand by all our work. Let our experts meet and exceed your property’s needs. We want to help you realize your outdoor space’s full potential and make sure you are always satisfied with all our work. We combine quality workmanship, superior knowledge and fair prices to provide you with service unmatched by our competitors. We have the experience, personnel and resources to make the project run smoothly. We always ensure a job is completed on time. Eminent-Construction will improve the beauty and value of your home. Our passion is to bring your outdoor vision to life. Using only the highest quality materials available on the market and our best workmanship, we will build something that is guaranteed to last. We will work closely with you to ensure that we clearly understand your vision.